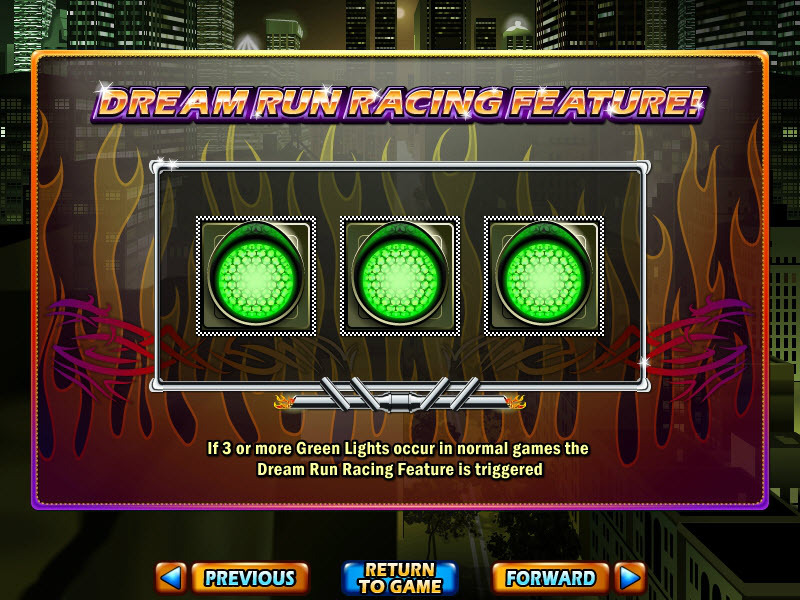 Overview: Get ready for adrenaline-fueled action in Dream Run, the blistering new successor to the wildly popular Real Series slot 'Green Light', by Real Time Gaming. 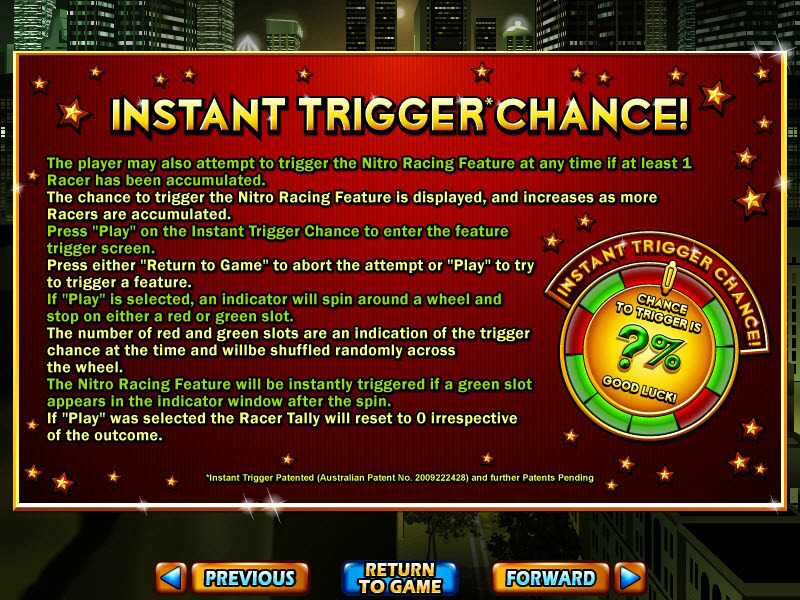 Trigger the feature with 3 or more scattered Green Light symbols. 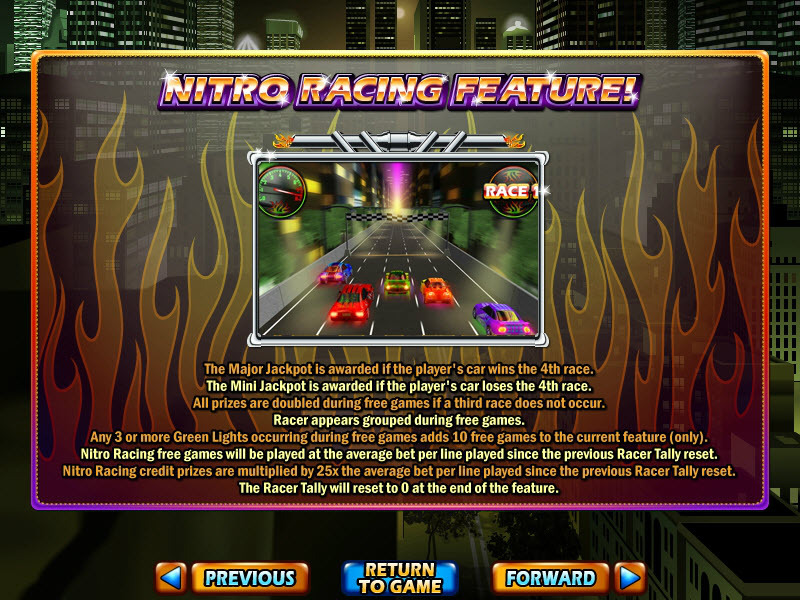 Pick a ride, fasten your seat-belt and hold tight as these bad boys of street racing take you on a fast and furious night time sprint through the city. 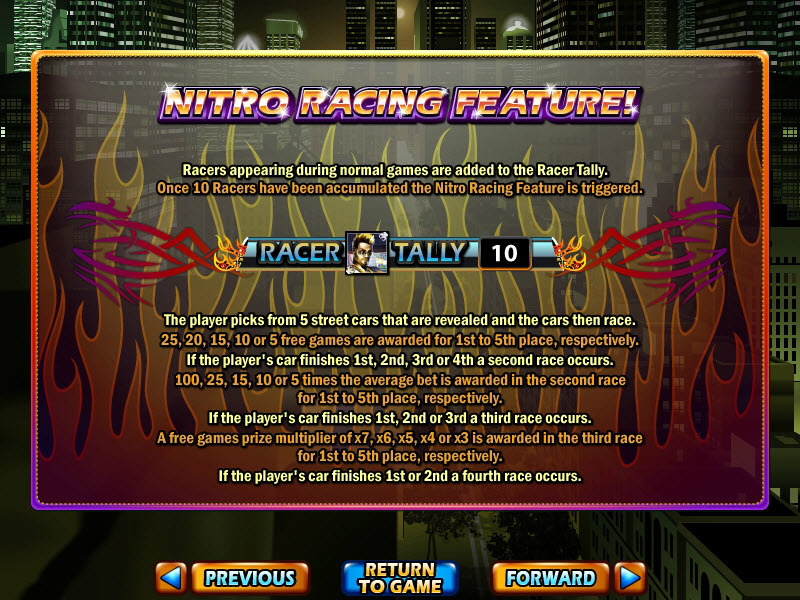 You can also collect Wild Racer symbols as they land onscreen and get a head start by attempting the Instant Trigger Feature after 1 or more Racers have been collected. 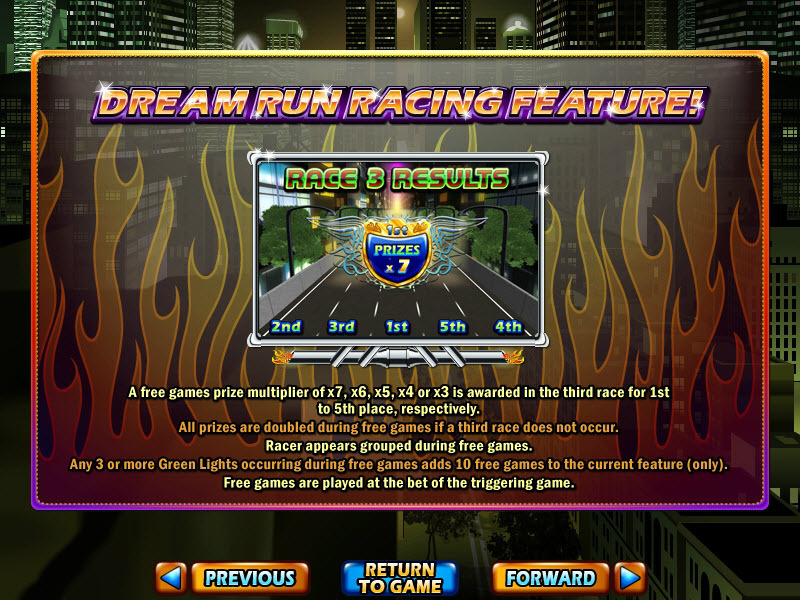 Speed over the finish line to collect some huge prizes, including progressive Jackpots! Key Points: Paylines: 25. 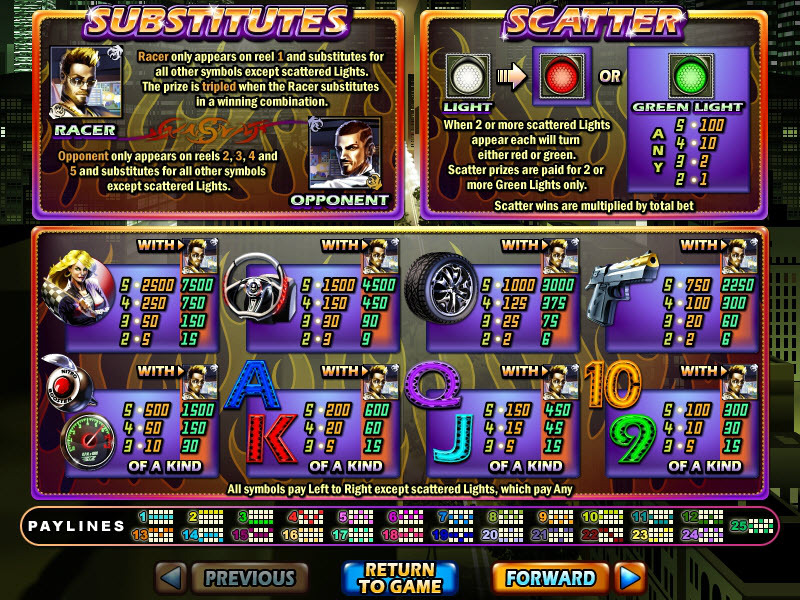 Scatter Symbol: Green Light. 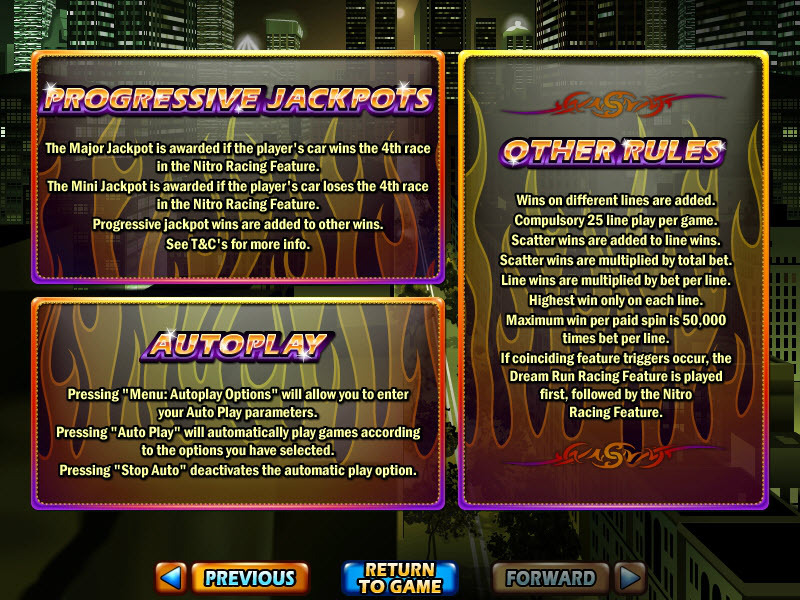 Top Award: 50,000 times bet per line. 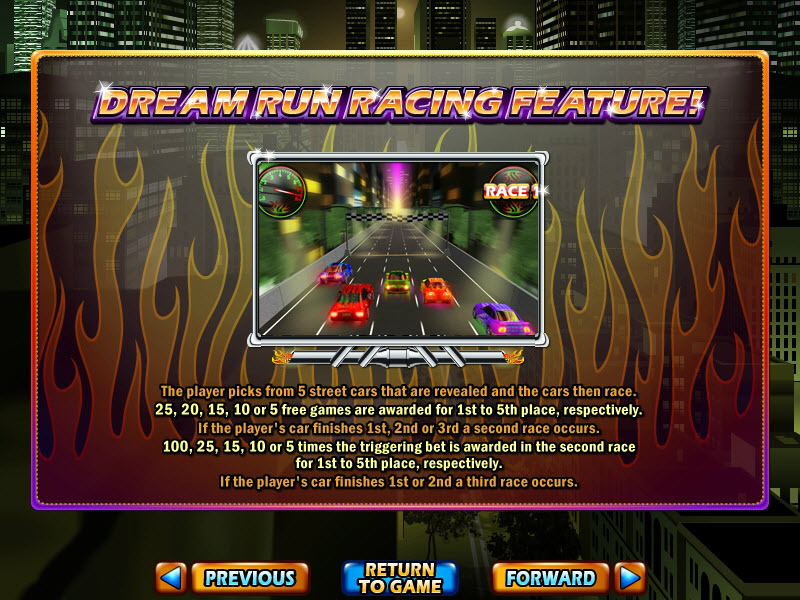 This one is definitely for the thrill seekers and the petrol heads! 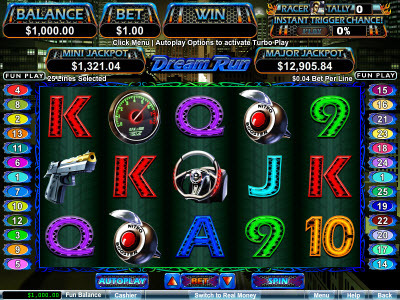 Similar Slots: If you like Dream Run, you might like these other slot machines from RTG: Achilles, Green Light, Honey to the Bee, Lion's Lair, Loch Ness Loot, Medal Tally.